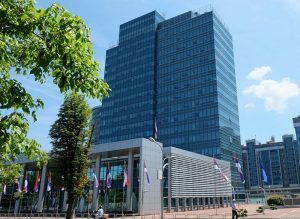 In the premises of the Ministry of Economy and Entrepreneurship of the Republic of Srpska, a working meeting was held aimed at preparation of the Action Plan for SMEs Development in the Republic of Srpska for the period 2019 and 2020. At the meeting, activities for support of SMEs development in the Republic of Srpska were discussed. 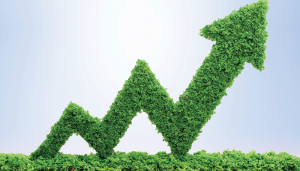 Special attention has been paid to innovation activities in SMEs and green economy. In preparation for drafting of the Action Plan, meetings were held with representatives of the ministries of the Government of the Republic of Srpska, faculties, development agencies and international organizations operating in BiH in the areas of SMEs innovations and the green economy. At the meeting, information on the planned and ongoing activities in these areas were exchanged. Support to the Ministry of Economy and Entrepreneurship of the Republic of Srpska is provided by the Enterprise Development Agency Eda, within the project SBA in BiH. The objective of the project “European Small Business Act as a framework of SME strategies and policies in BiH – SBA in BiH” is to support institutions in BiH to accelerate economic integration with the EU in the field of SME strategic and policy framework, with higher impact on performances of SMEs in the country. Key stakeholders of the project are: The Ministry of Foreign Trade and Economic Relations of BiH, the Ministry of Economy and Entrepreneurship of the Republic of Srpska, the Ministry of Development, Entrepreneurship and Crafts of the Federation of BiH, as well as the Department for Economic Development, Sports and Culture of the Brčko District. The project SBA in BiH is funded by Sida through the Embassy of Sweden in Bosnia and Herzegovina.